Ft. Collins, CO – February 27, 2014 – Having recently doubled its wood beer capacity with the addition of 32 new oak foeders, New Belgium Brewing is going sour with its latest Lips of Faith beers. La Folie and Transatlantique Kriek make a return in 2014 as part of a 2014 Sour Vintage Single Batch Series. La Folie is a wood-aged, sour brown that spends one to three years in large oak barrels, also known as foeders. When the beer finally hits the glass, it is sharp and sour, full of green apple, cherry and plum-skin notes. It pours a deep mahogany. La Folie is 7% ABV and available now, while supplies last, in 22-ounce bombers and on draft. Transatlantique Kriek is a slightly sour cherry kriek beer. The 2014 edition began life in the oaken vessels of Frank Boon’s brewery, deep in Belgium’s Lembeek Valley. After two years of wood aging, Boon’s spontaneously fermented kriek shipped across the Atlantic and found its way to New Belgium’s Brewmaster, Peter Bouckaert. To go with Boon’s lambic ale, Bouckaert created a full golden brew to blend in, and round out, this light-bodied kriek. The intense cherry nose leads to a pleasing sweet and sour flash across the palate. Crisp and effervescent, Transatlantique Kriek is 8% ABV and available now, while supplies last, in 22-ounce bombers and on draft. To celebrate these sour beers, New Belgium recently held a sour beer symposium that explored the art and science of blending beers, from grain to glass, followed by the brewery’s second-annual Lost in the Woods party. Here’s a look into the festivities, accompanied by some banjo playing (yes, we should probably just stick to beer), http://www.youtube.com/watch?v=vcndh6BjR9Q. To find New Belgium beers near you, visit the libation locator at http://www.newbelgium.com/beer/locator.aspx. Longmont, CO & Brevard, NC—Ladies and gentlemen, hop occultists from all walks of life, please give a thunderous round of applause for the fourth incarnation of Oskar Blues' GUBNA Imperial IPA. Weighing in at 100+ international bitterness units and 10 percent ABV, this complex and chameleonic concoction packs a wallop. 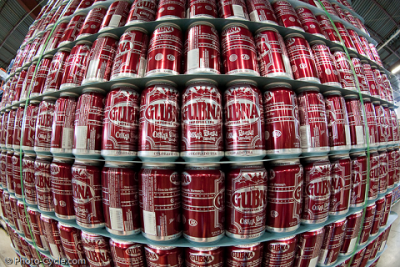 The Granddaddy of all Oskar Blues' hop grenades in a can, GUBNA obliterates the ordinary. If G'Knight or Deviant Dale's seem too tame for you, it's time to experience the most challenging and notorious elixir from OB's diabolical roster of ferocious fermentables. Every year, Oskar Blues' eccentric fellowship of deranged brewers work with hop growers to seek out the most potent, unique and mind-bending hop varietals of the season. By annually altering the hop bill, GUBNA continually reinvents itself while letting the best and brightest of these powerful flowers flourish. GUBNA v 4.0 is aggressively dry-hopped with the citrusy Chinook (this year’s legendary crop was especially complex), the tropical fruit and red berry notes of Mosaic, and the zesty lemon Sorachi Ace strain. Showcased on a base recipe of Rye (now double the amount than previously used), North American Pale, and Munich malts, these three formidable hop varieties are given free rein to assault the senses in a strangely schizophrenic symphony of bewildering bitterness, complemented perfectly by the pleasant warmth to be expected from that 10 percent booziness. The GUBNA pairs beautifully with grilled salmon, cured meats, sharp cheeses and spiced or caramel-rich desserts. Simultaneously subtle yet over-the-top, GUBNAalso holds up wonderfully when used for grilling beer-can chicken. Of course, this frothy behemoth is glorious on its own as well. Spring's hoppy answer to the gargantuan chocolate malt bomb Ten FIDY (OB's infamous Winter seasonal), GUBNA 2014 will be available on tap and in 12-ounce 4-packs from March until May. Always evolving, no two GUBNA years will ever be the same, so grab version 4.0 while you still CAN! In honor of this auspicious occasion, both Oskar Blues locations (in Brevard, NC and Longmont, CO) will be hosting release parties on Saturday, March 1, 2014 at both Tasty Weasel tap rooms. If you're lucky enough to be in either location, stop in and enjoy specialty barrel-aged and firkin variations on GUBNA 4.0, along with food, brewery tours, live music and general debauchery. Oskar Blues gained notoriety as the first craft brewery to seriously consider putting serious beers into recyclable aluminum cans more than 10 years ago. Initially laughed at by their colleagues, the trend caught on when other breweries took notice and agreed that cans are simply a better vessel for keeping beer fresher longer, away from the adverse effects of UV light and ingress oxygen. Since then, OB has evolved into an off-kilter "jack of all trades" in the beer world, adding four Colorado restaurants , the Hops & Heifers Farm and REEB Cycles hand-made bicycle company to the family. Seriously focused on having fun, pushing boundaries and making stuff we like, Oskar Blues is like no other craft brewery in the world. Do yourself a favor and get some GUBNA before it's gone. If you need help, visit our on- line beer locator. Founded as a brewpub by Dale Katechis in 1997, Oskar Blues Brewery launched the craft beer-in-a-can apocalypse in 2002 using a tabletop machine that sealed one can at a time. In 2008, the makers of the top-selling pale ale in ColoRADo, Dale’s Pale Ale, moved into a 35,000-square-foot facility in Longmont, ColoRADo. The brewery has since experienced explosive growth—packaging 59,000 barrels of beer in 2011 and 86,750 barrels in 2012. In December of 2012, Oskar Blues opened the doors to an additional brewery in Brevard, North Carolina. Together, the breweries packaged 119,000 barrels of beer in 2013, distributing trailblazing craft brews to 34 U.S. states and Washington, D.C.
February 25, 2014 – Kansas City – Tickets for the brand new beer, food and music event, “Boulevardia,” will go on sale at 10a.m. on March 5th at boulevardia.com. Three different ticket packages will be available for purchase: one-day general admission passes are $10 in advance, a three-day pass is $25 and the exclusive “Taps & Tastes” craft beer experience will be $75 (includesSaturday general admission ticket). General admission tickets include entry into the festival grounds, national, regional and local music acts on two stages, and access to tasty food trucks, local artisans, a family-friendly carnival and eco-expo. 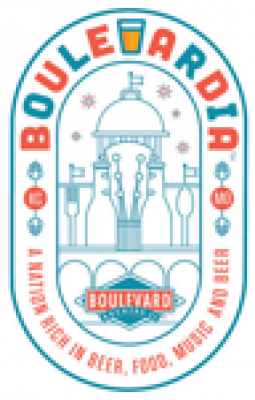 While there are abundant general admission tickets available to Boulevardia, there will be a limited number of tickets available for the Taps & Tastes craft beer experience on Saturday, June 14. The Taps & Tastes craft beer experience will be a special section of Boulevardia and take place from 3-7 pm on Saturday, June 14th. The limited craft beer experience will include principals and brewmasters from more than 35 national and international craft breweries along with twelve local restaurants and Kansas City culinary stars. Taps & Tastes tickets will include unlimited beer and food sampling, along with a keepsake tasting glass. A full lineup of breweries will be announced later this week. In addition to Taps & Tastes experience, many of these breweries will have special taps featured at the Boulevardia bars throughout the weekend for general admission ticket holders to purchase. The three-day urban street festival is scheduled to take place June 13-15th in the historic West Bottoms area, specifically in and around the iconic, multi-leveled 12th Street viaduct. The multi-day event will be highlighted with a craft beer and food sampling experience, but will also include family activities, entertainment, shopping, and eco-education in a unique urban setting. Learn more atboulevardia.com, facebook.com/boulevardia and twitter.com/Blvdia. Pronounced “java,” this collaboration beer is inspired by the longtime friendship between the two brewmasters, Mark Thompson and Spike Buckowski. Long ago, both realized they had a lot in common, including a love for great beer and great music. Just 150 barrels of GAVA Joe will be brewed, and it will be available in draft only (1/6 and 1/2 barrel kegs) with a release date of April 1st. Once the beer hits the market, there will be release events in both Charlottesville and Athens. In the meantime, Mark and Spike will host several “Meet The Brewers” events in Charlottesville leading up to the collaboration brew day. On Saturday, March 1stat 5:00 PM, Starr Hill and Terrapin will take over the taps at Beer Run, with each brewery showcasing six beers. Sunday, March 2nd at 1:00 PM, the two brewers will host Beer School at Sedona Taphouse. Finally, the evening of Monday, March 3rd, Starr Hill and Terrapin will takeover the taps at Mellow Mushroom. 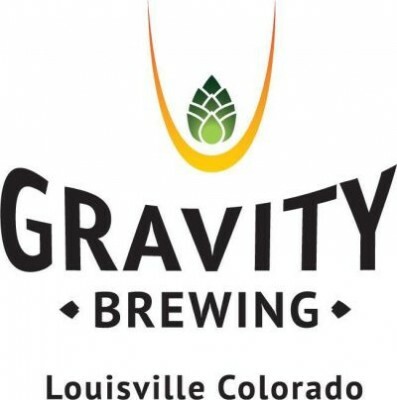 “GAVA Joe brings together two breweries from like-minded college towns known for great music, great coffee, and most importantly, great beer,” says Robbie O’Cain, Starr Hill’s Quality Assurance Manager. Starr Hill Brewery was founded in 1999 by Mark Thompson and Kristin Dolan in Charlottesville, Virginia. Starr Hill is one of the most award-winning craft breweries on the East Coast, having won 19 Great American Beer Festival and World Beer Cup medals since its founding. 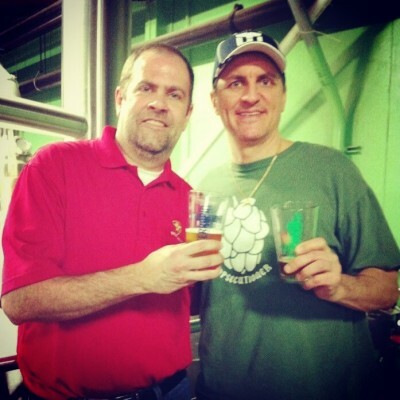 The beer is distributed in ten states, including Virginia, Delaware, Georgia, Maryland, New Jersey, North Carolina, Pennsylvania, South Carolina, Tennessee, and Washington D.C.
Terrapin Beer Company was founded in 2002 by John Cochran and Brian “Spike” Buckowski in Athens, Georgia. Since Terrapin's launch in 2002, Spike has racked up numerous medals and awards for his outstanding brews. This includes gold medals at the Great American Beer Festival for his Rye Pale Ale and Tree Hugger, and a silver medal at the World Beer Cup for his Golden Ale. Terrapin is sold in ten states in the Southeast and East Coast areas of the US: Georgia, Alabama, Florida, Tennessee, South Carolina, North Carolina, New Jersey, Pennsylvania, Maryland, and Virginia. Tivoli Distributing Company was formed in 2012 to provide a new and alternative route for small craft breweries to access the craft beer marketplace. Tivoli Distributing began this process with the re-launch of Tivoli Beer, last brewed in Denver in 1969, and has followed with the launch of Sigi's, Buck Beer another important historic Colorado beer. Tivoli Distributing combines a deep passion for craft beer with a highly personal touch to forge mutually beneficial relationships with both its accounts and breweries.